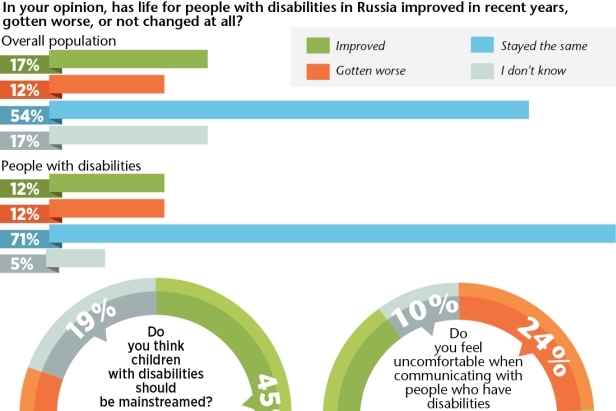 For most of the last century, people with disabilities have been marginalized in Russia, but things are changing. There are 12.85 million people with disabilities in Russia out of a population of 143.5 million. In Russia, only 32 percent of the 2.5 million people with disabilities who of working age are employed. The poll was conducted in September 2012 among 1,500 respondents by the Public Opinion Fund (FOM).